All images copyright © 2009 by Wm. Robert Johnston. 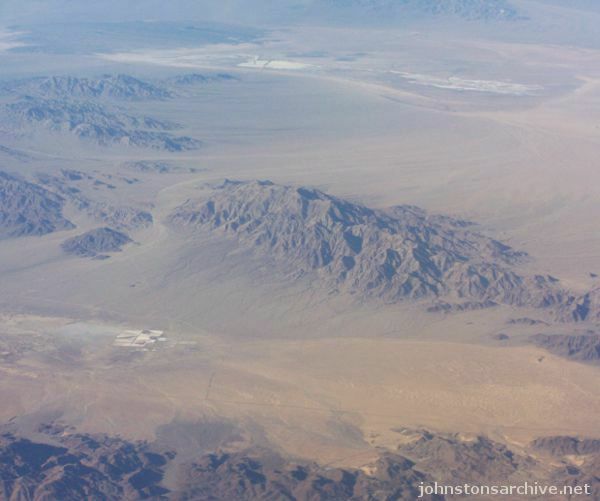 Pictures from the air over Joshua Tree National Park, California, and nearby areas. 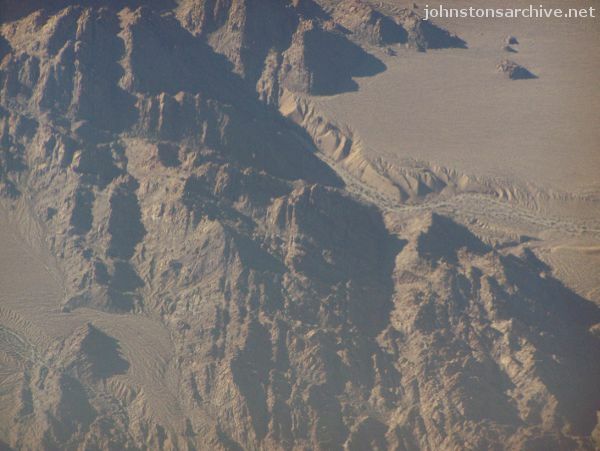 This view shows the Coxcomb Mountains in the northeast section of Joshua Tree National Park (bottom). Outside the park are the Sheep Hole Mountains (far left). 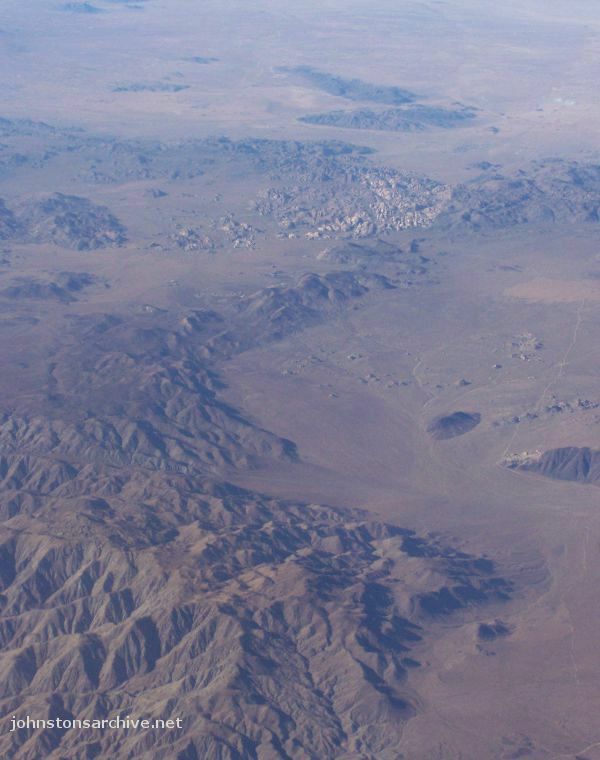 This view shows part of the Lost Mountains (bottom), the Ryan Mountains (middle), and the Wonderland of Rocks (the white rugged area toward the top). Malapai Hill is the dark isolated hill in the flat at the center right. View is to the north-northwest, spanning about 8 km left-right at the center of the photo. 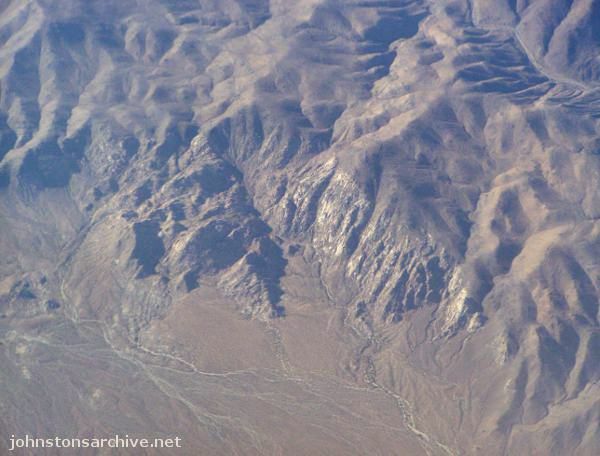 The two main rugged areas are the Pinto Mountains (top) and Hexie Mountains (lower left), separated by Pinto Wash and Turkey Flat. 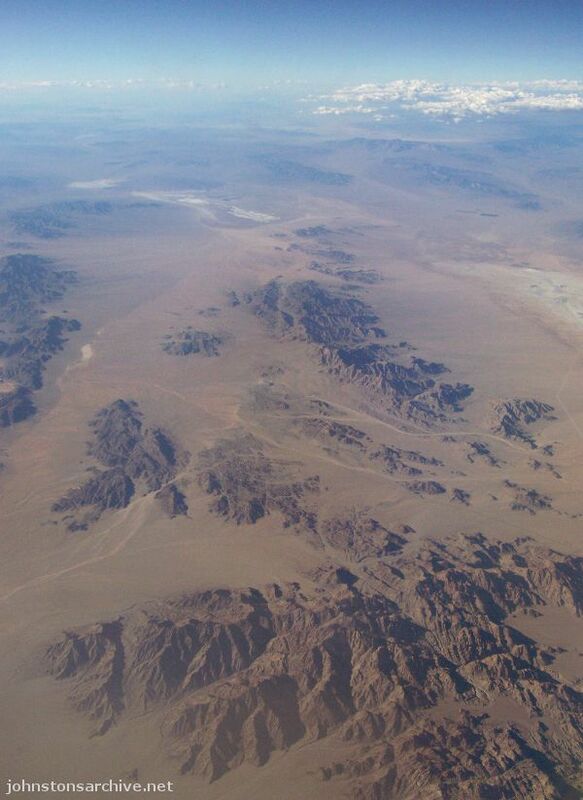 The Hexie Mountains here are split by the Porcupine Wash, with Monument Mountain just below Porcupine Wash. Part of the Smoke Tree Wash is visible (lower right). View is to the north, spanning about 15 km left-right. Canyon on the north side of Smoke Tree Wash, in the southern part of the park. View is to the northwest, spanning about 3 km left-right. A gully in the Coxcomb Mountains at the northeast end of the park. View is to the north-northwest, spanning about 2.5 km left-right. 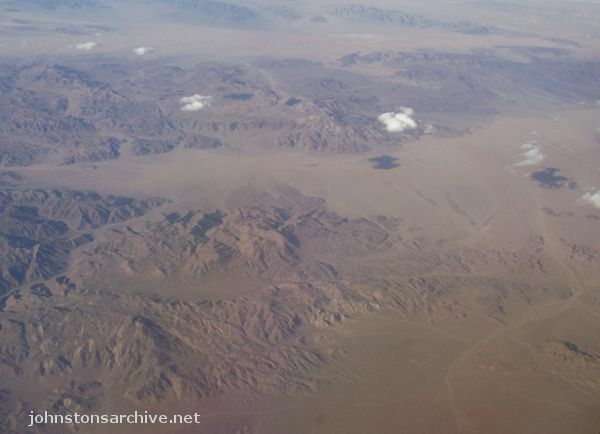 This area is just north of the park, centered on the Sheep Hole Mountains; Twentynine Palms Highway runs left-right (east-west) across the flat below the mountains.